Exclusive! Everyone has at least one crazy lady in their circle. If you don't, chances are you're the crazy one! 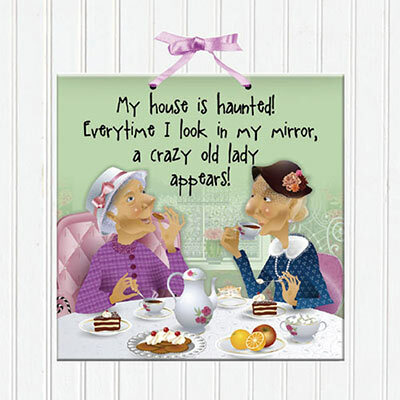 This hilarious Self Reflection Plaque makes a great gift or a funny conversation piece. Polyester hanging ribbon. Imported. 6" sq.